Credible is committed to improving the quality of care and lives in behavioral health for clients, families, providers, and management. We strive to deliver the highest quality Behavioral Health technology at a great value. Remaining focused on providers, be they Community-based, Clinic-based, Youth or Residential, Credible differentiates on innovation, value, and customer service. Credible is a leading innovator in web and mobile solutions for behavioral health. 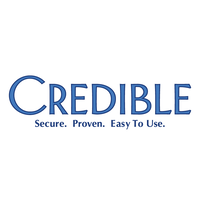 Founded in June 2000, Credible is based in Rockville, Maryland and services care providers throughout the United States. Since 2000, Credible has provided software solutions for Behavioral Healthcare and other Human Service providers. Credible is proud to provide solutions for wide spectrum of behavioral health services including Youth, Residential, Adult, Community-based, Crisis, Forensic, Mental Health Court, Clinic, ACT and wrap-around services.